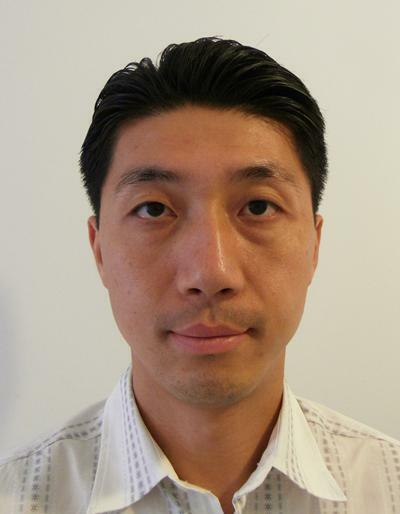 Dr Jae Wook Kim is Associate Professor within Engineering and Physical Sciences at the University of Southampton. Dr Kim is undertaking fundamental research on unsteady aerodynamics and flow-induced sound generation in various engineering problems via high-performance computational simulations. For this purpose, he has developed an in-house code CANARD (Compressible Aerodynamics & Aeroacoustics Research coDe), which is based on high-order accurate compact finite difference schemes. His recent funded research work includes (but not limited to) the effect of bioinspired leading-edge geometry on aerofoil-turbulence interaction noise (PI, EPSRC: EP/J007633/1); aerofoil stall noise (Co-I, EPSRC: EP/R010900/1); aero-engine fan wake (Co-I, Rolls-Royce & Innovate UK: ACAPELLA); next-generation wind-turbine blades (PI, Vestas & EPSRC DTG); low-noise underwater propeller blades (PI, DSTL & EPSRC ICASE); nonlinear infrasound propagation (PI, AWE & EPSRC CDT); noise prediction models for wind-turbine blades (PI, Vestas & Innovate UK: KTP009787); gust response of wind-turbine blades (PI, Vestas & EPSRC ICASE); and, aircraft landing-gear noise (Co-I, Airbus UK & France). Dr Kim is Fellow of Royal Aeronautical Society (FRAeS); a senior lifetime member of American Institute of Aeronautics & Astronautics (AIAA); a member of UK Turbulence Consortium (EP/L000261/1); and, a member of EPSRC Associate Peer Review College. He is also a member of Rolls-Royce University Technology Centre in Gas Turbine Noise. Paruchuri, C., Joseph, P., Narayanan, S., Vanderwel, C., Turner, J., Kim, J-W., & Ganapathisubramani, B. (Accepted/In press). Performance and mechanism of sinusoidal leading edge serrations for the reduction of turbulence-aerofoil interaction noise. Journal of Fluid Mechanics. Chung, K. H., Kim, J. W., Ryu, K. W., Lee, K. T., & Lee, D. J. (2006). Sound generation and radiation from rotor tip-vortex pairing phenomenon. AIAA Journal, 44(6), 1181-1187. Kim, J. W., & Lee, D. J. (2004). Generalized characteristic boundary conditions for computational aeroacoustics, part 2. AIAA Journal, 42(1), 47-55. Heo, D. N., Kim, J. W., & Lee, D. J. (2004). Numerical study on mode transition of an open cavity with lids. Computational Fluid Dynamics Journal, 13(1), 34-45. Lee, D. J., Kim, J. W., & Lee, I. C. (2004). Visualization of aerodynamic noise using computational aeroacoustics. Journal of the Korean Society of Visualization, 2(2), 3-7. Kim, J. W., & Lee, D. J. (2003). Characteristic interface conditions for multi-block high-order computation on singular structured grid. AIAA Journal, 41(12), 2341-2348. Shim, I. B., Kim, J. W., & Lee, D. J. (2003). Numerical study of n-wave propagation using optimized compact finite difference schemes. AIAA Journal, 41(2), 316-319. Kim, J. W., & Morris, P. J. (2002). Computation of subsonic inviscid flow past a cone using high-order schemes. AIAA Journal, 40(10), 1961-1968. Kim, J. W., & Lee, D. J. (2001). Adaptive nonlinear artificial dissipation model for computational aeroacoustics. AIAA Journal, 39(5), 810-818. Kim, J. W., & Lee, D. J. (2000). Generalized characteristic boundary conditions for computational aeroacoustics. AIAA Journal, 38(11), 2040-2049. Kim, J. W., & Lee, D. J. (1996). Numerical simulation of nonlinear waves using optimized high-order compact schemes. International Journal of Computational Fluid Dynamics, 5, 281-300. Kim, J. W., & Lee, D. J. (1996). Optimized compact finite difference schemes with maximum resolution. AIAA Journal, 34(5), 887-893. Cannard, M., Joseph, P., Chaitanya, P., & Kim, J. W. (2018). Numerical investigation into slitted leading-edge profiles for reducing interaction noise. In 25th International Congress on Sound and Vibration 2018, ICSV 2018: Hiroshima Calling (Vol. 3, pp. 1366-1373). International Institute of Acoustics and Vibration (IIAV).